Finally we have an I2C-interface temperature & humidity sensor in a nice enclosed style. 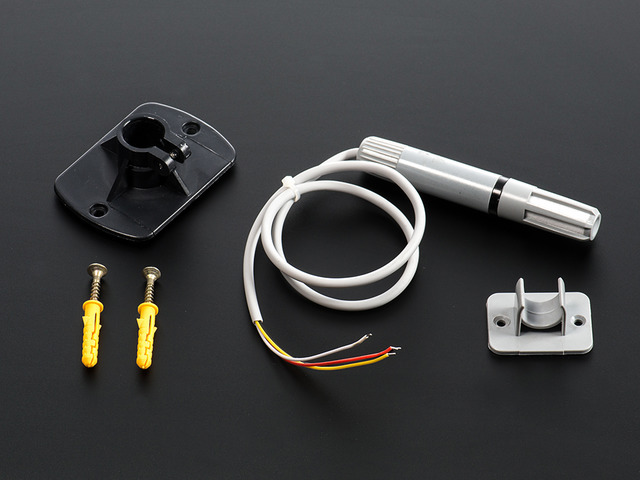 This sensor contains a thermistor temperature sensor and a capacitive humidity sensor. A small microcontroller inside does the readings and provides a simple I2C interface for reading the finished & calibrated output data. Especially nice is that this sensor is in a rugged case with mounting bracket, which makes it way superior to a normal PCB-mounted sensor. Simply connect it up using I2C and you're ready to start sensing temperature and humidity. This guide will cover how to wire it up, and provide code examples. Let's get started! This guide was first published on Oct 04, 2018. It was last updated on Oct 04, 2018. This page (Overview) was last updated on Apr 20, 2019.